sorry to hear that. I can't see any unanswered queries in the queue. Have a look in your junk mail box to make sure a response hasn't gone into there. If there is nothing there, then PM me your email address (the one you used to submit the ticket) so I can chase up the exact issue. ETA: you should have received an immediate confirmation that your query had been received. did you get that at least? I didn't, maybe I entered my email wrong? 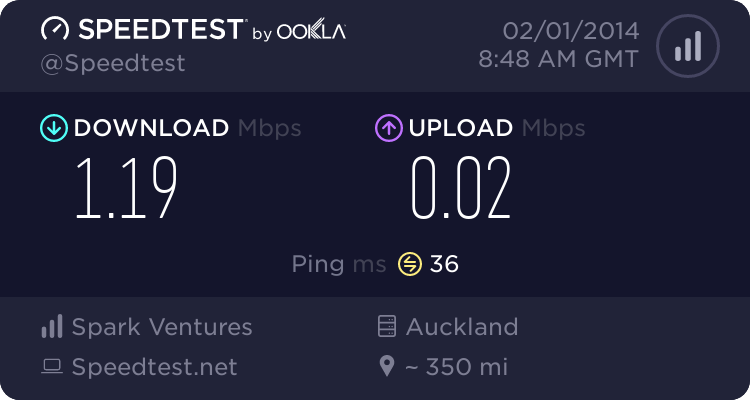 HellraiserNZ: Just got switched over to BigPipe I think ( no confirmation email as of yet, but the speed test says Telecom Ltd.) Speed has dropped a bit, was 16-18 mps on orcon ADSL, 13-14 mps on orcon VDSL, getting 8 mbps on bigpipe, all down. Up speeds were 1, 2, 1 respectively. Hopefully speed improves but was I supposed to get an email? yes you should have received an email confirming, I'll chase that up. When you talk about your speed, are you referring to your modem sync speed or speedtest results? Extremely unusual to be getting speeds as low as that on VDSL (both for Orcon and with us). Having a look at your address, the chorus map suggests you are actually outside VDSL coverage (although the prequal tool says you are in, or else you would not have been provisioned on it). It could well be the case that the pre-qual tool is in error - which is why your VDSL speeds on both Orcon and Bigpipe are so poor. Otherwise, if you are moving from Orcon VDSL, then I assume you had a master filter installed when you signed up with them? If not, then getting one would be the first thing I suggest to solve your speed issue. Those were speedtest results sorry not to have clarified. 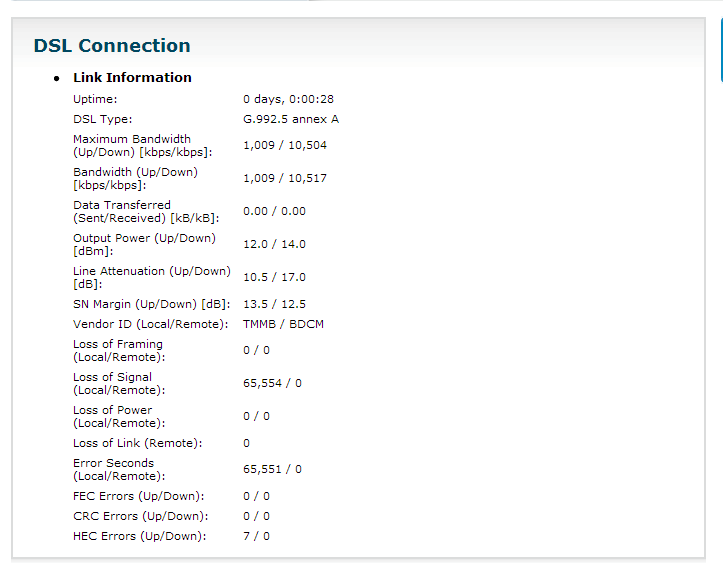 The vdsl thing was a mess, the orcon site said I could get it and they installed it for me. The chorus guy didn't put a master splitter because I live in an apartment. I got a speed Decrease after vdsl. The reason why he said he couldn't do it because there was nothing to split. And just to clarify I am on bagpipe ADSL plan. "And just to clarify I am on bagpipe ADSL plan". Ah, there's your problem right there. If you bypass the bagpipes you'll get a much better signal. We're having a few gremlins in our support system this weekend where we are not properly receiving all messages sent via the support form on our website. If you sent us a support query in the last 48 hours and we haven't responded, that is why. We're really sorry about that, we've got people working on it right now and will get it fixed ASAP. Meantime, we can still look into any problems if you PM us here or on Facebook. Support form is all fixed now. Phew! And we know exactly what the issue was so it won't happen again. Massive thanks to the devs getting it sorted so quick on the weekend. If you could provide a bit more info that will help diagnose the issue. Has your speed just dropped, or has it been like that since you switched? What was your speed like before? Have you eliminated the obvious culprits at your end? If it's not any of that stuff, drop us a note via our (now working! :D ) support form and our techs can take a more detailed look tomorrow. Okay, the modem I have is a Thompson TG585 v8 telecom issued wifi modem/router. Thanks for your help bigpipe! some of the speed drop can probably be attributed to moving from Orcon LLU to Chorus UBA. From what I understand, Chorus uses different broadband profiles which give a lower sync speed, but also lower error rate. LLU providers tend to use more aggressive profiles that give higher sync speeds, but also higher error rates. Having said that, I'm surprised the difference is as much as that (going from 18Mbps to 10Mbps). Your attenuation suggests your speed should be quite a bit higher than 10Mbps. If getting a splitter isn't an option because you are in an apartment, check your modem is plugged into the first phone jack, as that will give the best signal. You might also consider trying a different modem, that model is at least 3-4 years old now. Also, probably worth submitting a support query via our site and we can run some line tests etc tomorrow or monday. Could be a mis-provisioning. My speed has dropped from when I got home this avo. It normally speed tests at around 10Mbit, which is about normal for the sync speeds. House is wired with a splitter and cat 6 cable to the rj45 JP. Nothing else was running. That was running from the modem to a router to a wired PC. We got our IP address allocation from IPs that were originally assigned to Telecom. It still shows up as being from Telecom in things like speedtest.net. We're in the process of getting it re-assigned to us.